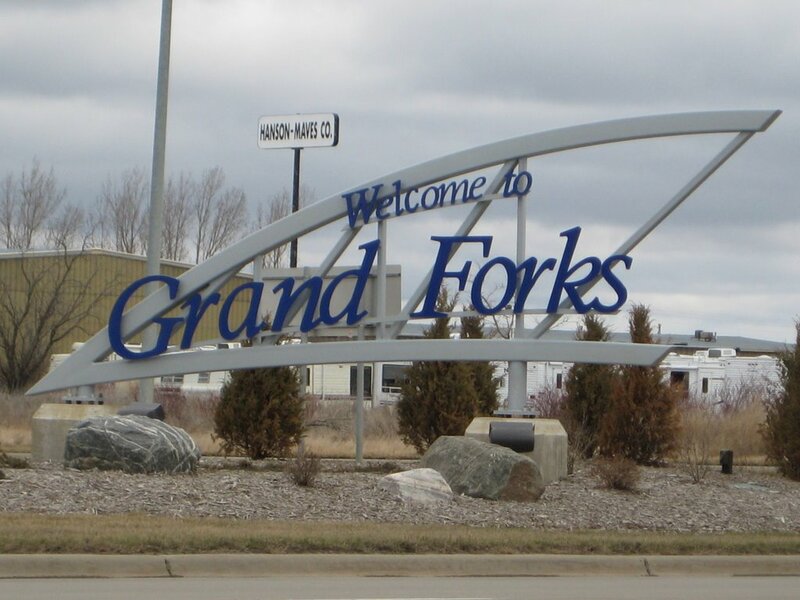 On Nov. 7, all of Grand Forks will likely trek westward for voting at just one location: the Alerus Center [home of a city-owned conference center and stadium for University of North Dakota football]. On the ballot is a community-wide referendum on the sales tax, which City Hall hopes to increase by 0.5 percent for 20 years. The funding—an estimated $5 million in its first year—would help the city pay for street and water infrastructure, something City Hall said is getting harder to pay for due to lagging state funding. The hike would bring the effective local tax rate—that’s city and state sales tax—to 7.25 percent. But as the tax debate plays out, city leaders’ likely selection of the Alerus Center as the sole location for the vote offers another, separate debate over voter access and polling resources. The city prevailed less than a month ago in a lawsuit that litigated the very same matter. A group of about two dozen voters sued the city earlier this summer for holding all the June 20 voting on the future of Arbor Park at the Alerus Center, a move their attorney, Henry Howe, claimed exceeded the city’s authority. At trial, Howe recalled simmering concerns over access that had arisen before the election, when park proponents had worried that downtown residents without a car would find it difficult to vote on Election Day. “They wanted to stack the deck, and they wanted to do it on the cheap,” Howe said, responding to the city’s claim that consolidating voting saves money. To make his point, Howe pointed to a discussion City Council leaders had in 2011 ahead of a special election on the library, during which members said access should trump costs. Elections with just one polling location are rare in Grand Forks history. City Clerk Sherie Lundmark said the Arbor Park contest was the first such election for the city; Debbie Nelson, the county’s top election official, said the county held a 2007 special election on a bonding matter that saw only one city polling location. But the debate over consolidating voting isn’t new. In December 2015, [City Council President Dana] Sande called for a single polling location at the Alerus Center, arguing that most voters “are driving to their polling location anyway,” and he said he’s been advocating for such a move long before then. In this summer’s lawsuit, Nelson testified that it’s become increasingly difficult to find enough staff to cover voting locations throughout the city, and the city’s defenders have pointed out that absentee ballots were available before the election. On Monday evening, Sande said schools and churches have shied away from their traditional polling location designations, making it more difficult to find a spot for the ballot box, and suggested that Cities Area Transit might allow free rides to the Alerus Center on Election Day. City Council member Bret Weber represents the downtown area, which includes some of the city’s residents who are most impoverished and among the furthest from the Alerus Center. He voted against holding one voting location for the June 20 election, he said, and plans to vote against it at a final vote. This is actually a neat little case study on the question facing many communities: at what point does attempting to ensure access for voters stretch a jurisdiction past its available resources? And if polling places are consolidated, what can be done to ensure that all voters have an opportunity to cast a ballot? Be the first to comment on "Single Polling Place in Grand Forks Election Sparks Access Debate"